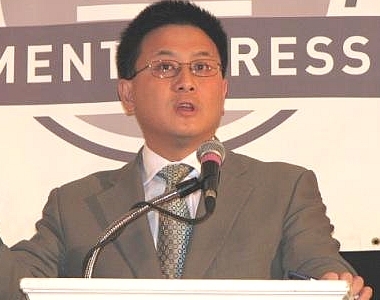 John Chiang says the state needs to put in a lot more than $1.8 billion per year. A California official says he has come up with a plan for increasing the odds the state workers will get their retiree health and dental benefits. John Chiang, the state’s controller, says the state could ease into prefunding “other postemployment benefits” (OPEB) costs by at least setting aside enough cash each year to fund the OPEB benefits current workers have earned that year. Prefunding a year’s worth of benefits each year would not be as effective as fully prefunding all expected OPEB costs, but, by 2018-2019, it could cut the state’s current $65 billion unfunded OPEB liability by about $18 billion, Chiang estimates. Full prefunding would cut the liability by about $22 billion, Chiang says. California has been paying OPEB costs during the year the retirees actually incur the costs. For the fiscal year that started July 1, 2013, for example, lawmakers scraped up $1.8 billion for retiree health benefits funding. To fully prefund 2013-2014 retiree health benefits, the state would have to double the contribution to $3.6 billion, Chiang says. To prefund just the benefits that active workers incur in 2013-2014, the state would have to contribute about $2 billion, Chiang says. The California Public Employees’ Retirement System (CalPERS) has already tried to hold down retiree health costs with new care management and provider reimbursement strategies, and the state needs to support and expand those health care cost control efforts, Chiang says. Public and private employers’ battles with OPEB costs could have wide-ranging effects on other insurance and benefits market sectors, by affecting the amount of cash flowing into other benefits products, influencing the cost of health care for patients enrolled in other types of health plans, and increasing or decreasing the amount of cash future retirees have left over after paying out-of-pocket health insurance and acute health care costs.